It isn’t uncommon to walk into a home and see an aloe vera plant growing happily in front of a bright window. You don’t have to be a believer in holistic medicine or some crazy person who never uses conventional Western medicine. You just have to be a believer in the natural healing power of some plants to enjoy the many benefits of aloe vera. Whether you are interested in growing your own plant or just want to take advantage of products containing aloe vera, this guide will give you a comprehensive introduction to this native African succulent plant. Egyptian stone carvings dated thousands of years in history are known to depict aloe vera plants. That speaks to the extremely long history behind this plant. It is native to sub tropical climates that do not have freezing weather. Since, they are succulent plants similar to the cactus, they are naturally found in very dry, warm climates. They are native to Africa, so that speaks to the climate in which they are used to growing. There are many different types of aloe plants, but they don’t all have the medicinal benefits that come from the aloe vera plant. While these plants do often bloom with beautiful flowers, they are not grown for their beauty. They are grown today for their many health benefits and medicinal uses. 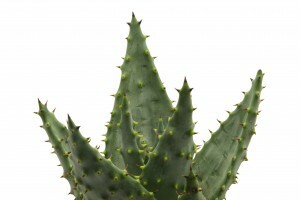 Various parts of the aloe vera plant can be used, but it is the gel inside the leaves that most people want. Those who grow the plant do so in order to make use of this inside aloe gel. 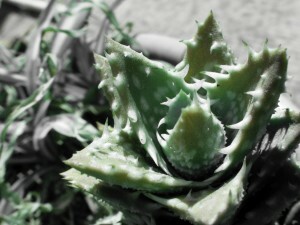 Aloe vera can be used on the skin or it can be ingested. It is a natural laxative, so many people have to watch how much they consume so they do not have problems running to the bathroom too often. Others use a lot of aloe vera specifically for this purpose. Natural, pure aloe vera gel products are best if a fresh plant is not on hand. If you live in a semi tropical climate that doesn’t have a lot of very cold weather, then you may be able to grow your own aloe vera plant outdoors. This is advantageous if you are interested in growing multiple plants for medicinal purposes. If you live in a colder region where it does sometimes freeze, then you should grow your aloe vera plant in an indoor container in front of a window with lots of bright light. If the pot doesn’t have a drainage hole, then gravel should be placed in the bottom of the pot to help with drainage. Ideally, this will be a pot that you can move outdoors during the warmer months so your plant can get that healthy sunshine it needs to grow. Just remember that it must always be brought back indoors if the temperatures drop to freezing. 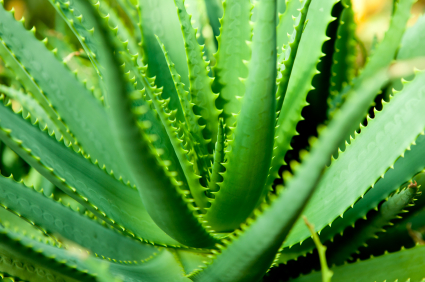 Wherever it is planted, the aloe vera plant needs rich soil that drains quickly. During the summer months they will need to be watered more often than during the winter months, since a lot of water is stored within the leaves of the plant. It goes dormant during the cooler months of the year, so it needs very little water until it awakens for the warm months of the year. One rule of thumb with aloe vera plants is to soak the soil, then let it dry out completely before you water again. An established plant can dry out a little without being damaged. Outdoor plants are even known to grow carefree in many places, especially when slightly shaded (but still in full sun if possible). As your aloe vera plant grows, you should move it into wider pots to accommodate the maturing root system. Important Note: Some people mistakenly move their plants into deeper pots, but the aloe vera plant has shallow roots that stretch outward, rather than downward. Why would anyone want to grow this succulent aloe vera plant in their home? It can get quite big, doesn’t always flower, and is not the most attractive plant ever. Yet, many people want to grow aloe vera because the leaves can be broken or sliced open to gain instant access to the nourishing, soothing, healing gel. This is helpful when someone is burned, cut or recovering with another type of wound. This gel can be used right out of the plant to soothe everything from sunburn to rashes and insect bites. It can even be consumed to energize, soothe and heal the body from within! 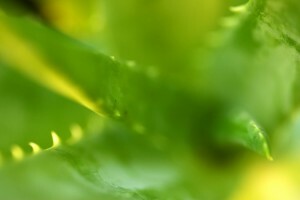 To see what other benefits to the aloe vera plant there are check out the aloe vera benefits page. Hi, I was wondering if anyone on this site knows where to purchase these plants or seeds so I can raise them on my own. I would love to grow plenty of them in my greenhouse so I can enjoy the healthy benefits all year round! Are most of the species of the aloe vera edible? and which species has the most nutrition? Hopefully I hear back from someone, have a great day! You can usually find the smaller plants in nurseries, and inquire about the larger ones that you can plant in your yard. I have used aloe for years and it is a wonderful medicinal plant. I sometimes just peel the bigger plant which also you can buy in most markets and Farmer’s mkt. then I cut it in cubes and put it into either cranberry juice or pineapple, I like the gel, but it is really the texture that I like in the juice, it reminds me of Jello. Check also with outdoor markets. It is good for so many things. Good luck, you won’t be sorry. I just cut a few leaves off an aloe plant from my friends yard to use on my acne scars. I was wondering, how do I keep those leaves from dieing? Right now I have them in a cup with just a little splash of water, in my refrigerator. I’m hoping they keep at least for a week. Any suggestions? Thanks!